Grand Prize: A Lenox Rectangular Baker With Lid worth $129.00. Submit your entry to qualify for this grand prize. 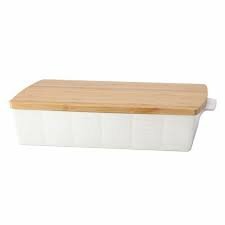 Lenox Rectangular Baker With Lid.